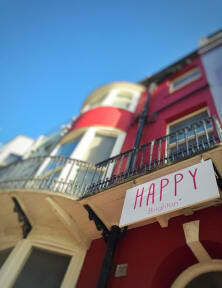 HAPPY Brighton i Brighton, England : Boka nu! 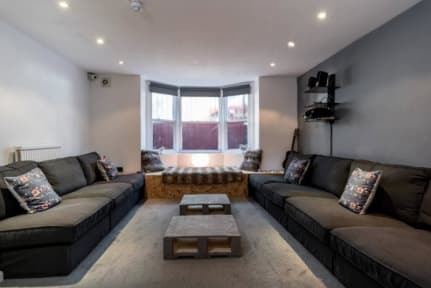 In the heart of the city, a stones throw from the beach and tucked away in a private little street, HAPPY Brighton really couldn't be in a better location! With everything Brighton has to offer being minutes away by foot, you'll really have the best opportunity to get the most from this wonderfully quirky, beautiful & interesting city. At HAPPY we think it's super important to share moments and get together, so we are always hosting communal events such as movie nights, family dinners and trips around Brighton. CHECK IN from 14:00 to 20:00. Please note - If you arrive after 20:00 without prior agreement from HAPPY Brighton, you may not be allowed access and may still be charged for your firsts nights stay. CHECK OUT before 11:00. We are flexible and try to accommodate guests as much as possible by allowing the storage of bags and use of facilities after the check out time. Reception hours 11:30am - 8pm. NOT 24 hour reception. Latest check in time before 8PM. No guest under 16 years old unless travelling with a person over 18 years old. No Stag or Hen do’s. Det var ett väldigt trevligt ställe att bo på, jag stannade enbart 2 nätter men var mycket nöjd.